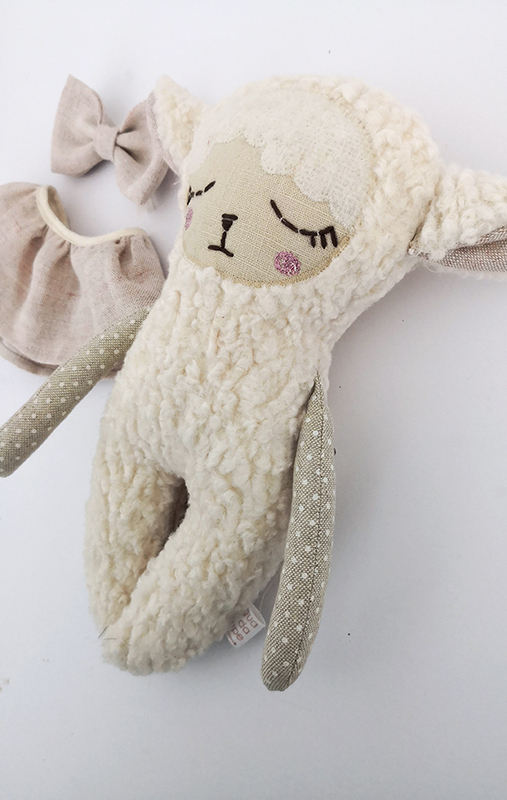 This pretty sleepy Lulu Lamb is designed and beautifully tailored with lots of care and attention to detail. 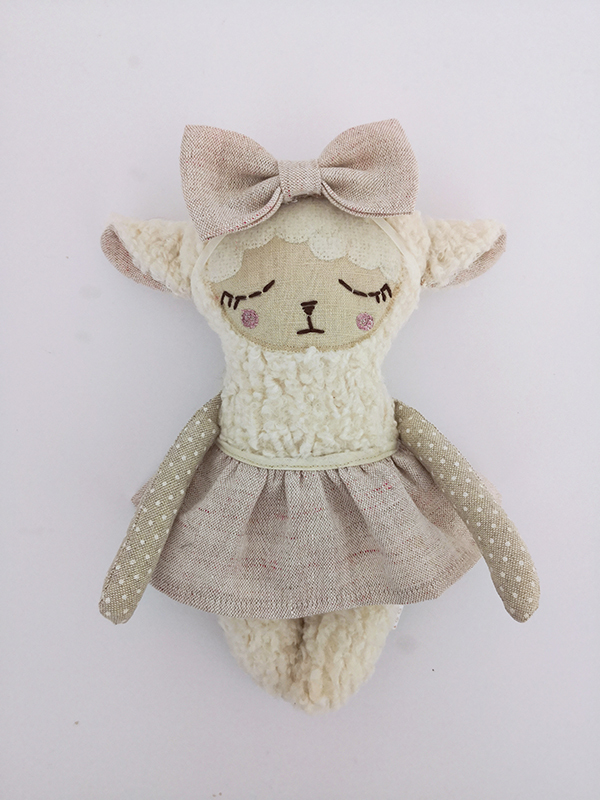 Lulu Lamb is handmade out of faux fur fabric that is soft and thick. 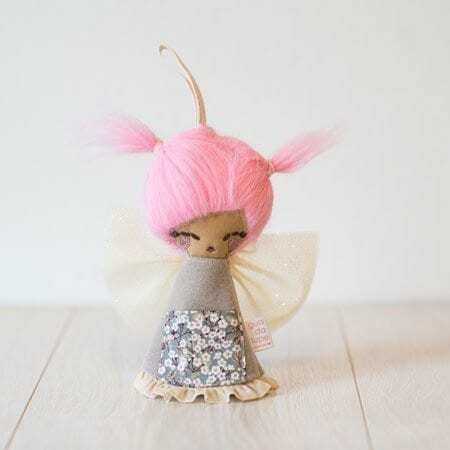 Her face and ears are made from linen and her hair is wool fabric. 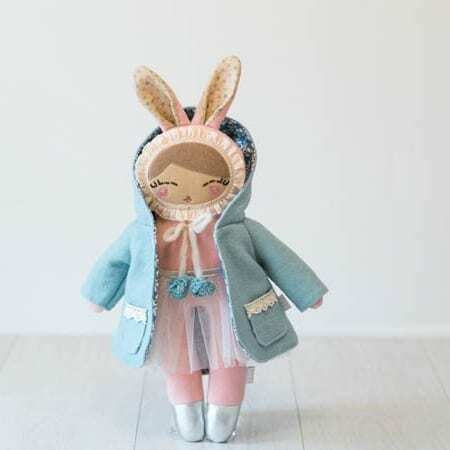 Lulu Lamb’s eyes and mouth are hand sewn while her sparkly cheeks are created with free motion machine embroidery. 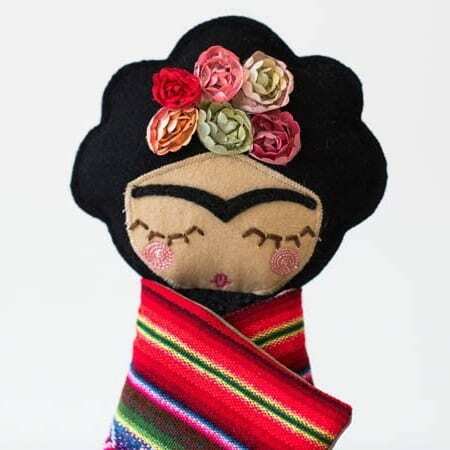 She measures approximately 28 cm. 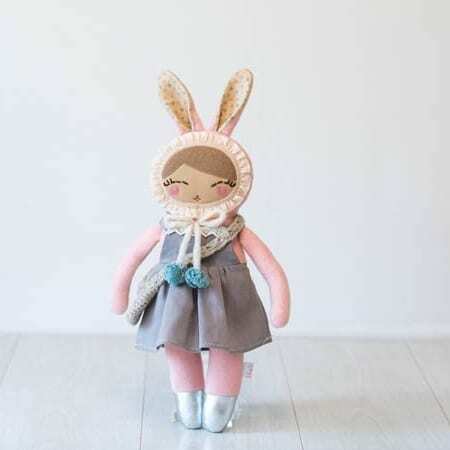 Her linen bow and skirt are removable! 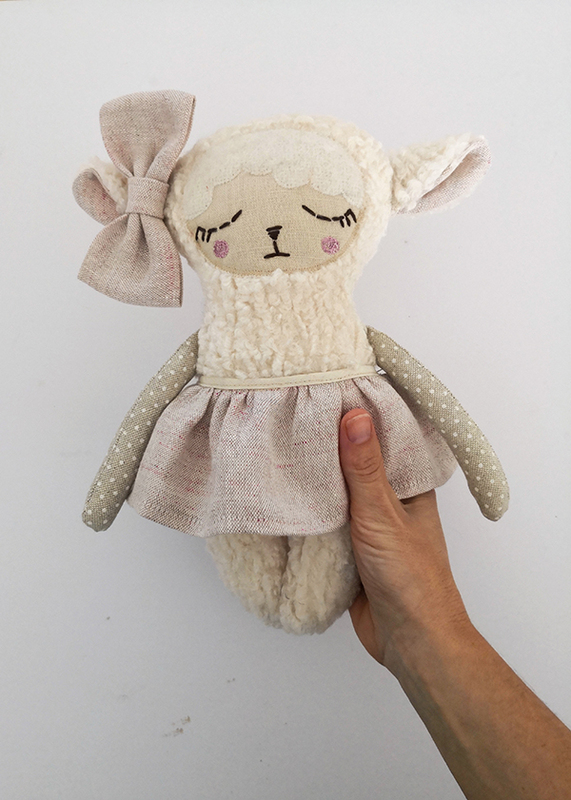 Lulu Lamb is for gentle hands and is not suitable for children under the age of 3. 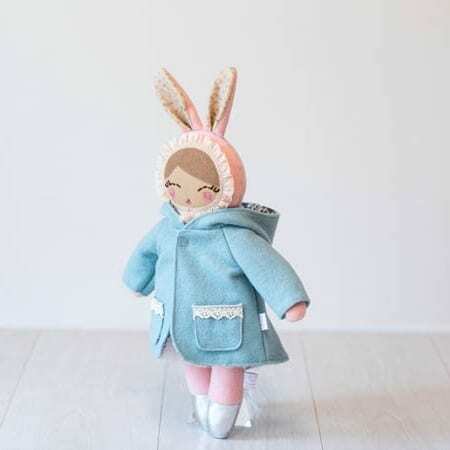 She can be spot cleaned with gentle soap and water. 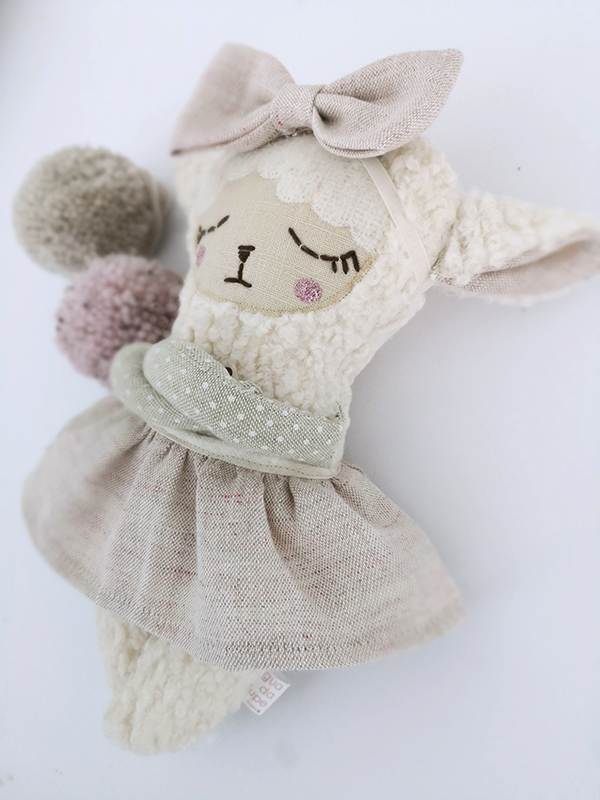 Lulu Lamb will make a beautiful addition to your home as well as a cuddly bedtime companion that can be treasured forever. 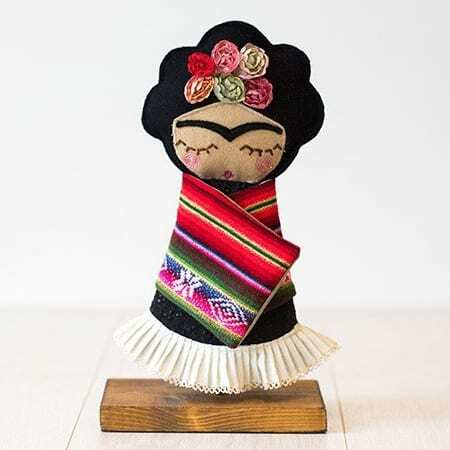 She comes beautifully packaged and will bring a smile to anyone who sees her!